Chandan Gowda is a tall, tall man. He is so soft-spoken that his manner of speaking is almost antithetical to his imposing frame. For those who meet him for the first time, it is quite a balance. 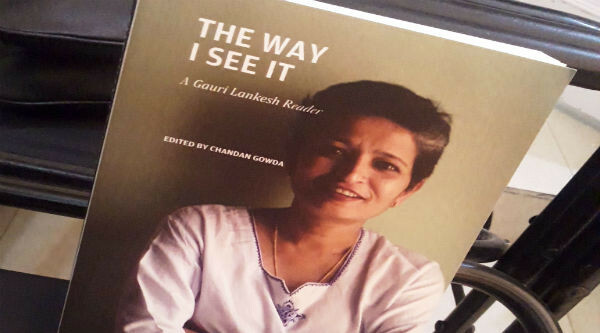 He was in Delhi for a discussion on his edited book The Gauri Lankesh Reader. He is also the editor and translator of Ananthamurthy’s novella Bara, which first appeared in 1976, and was later included in a collection of short stories, Akaasha mattu Bekku (The Sky and the Cat) in 1983. 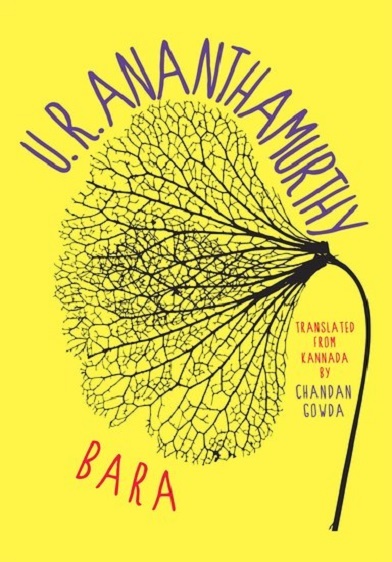 Ananthamurthy, however, had wanted Bara to be published as a book. ‘I had visualised it as a story that can stand on its own’, he writes in the Author’s Note to the book. The story found such a life in Gowda’s translation. ‘Can we go some place quieter?’ Gowda asked. We were sitting in the cafe at Goethe Institute, which was then hosting the City Scripts Festival, organised by the Indian Institute of Human Settlements. We moved to a quiet room. ‘How was the process of working alongside Ananthamurthy? I presume he was looking at the drafts quite closely?’ I asked. 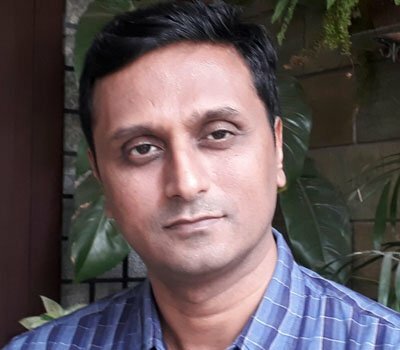 In the novella, Gowda italicises interior monologues of the protagonist. I wondered if this was prompted by this sense of impossibility. The dramatisation of this interiority is more difficult than a simple narration of events. The interior movement of the story itself is one of the most significant aspects of the book, especially because this was Ananthamurthy’s response to an overtly political event — the state of Emergency in India declared by Indira Gandhi in 1975. Even though the narrator here seems to be congratulating Satisha, it is actually a parody of the elite classes and castes. Preceding the section quoted above is an important detail: Satisha and his wife, Rekha, send their son, Rahul, to a common government school. In a letter to Satisha’s parents in Delhi, the couple writes that Rahul has picked up ‘crude language’ and has ‘caught lice’ in his school. 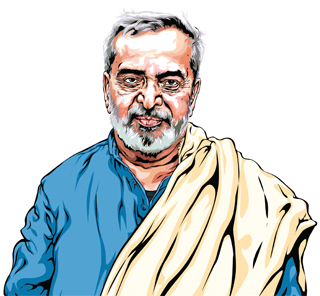 ‘This enchanted Satisha and Rekha’s stature in influential social circles in Delhi.’ It is not too hard for readers to understand that Satisha’s praise for his son is actually Ananthamurthy’s bitter criticism for these ‘influential social circles in Delhi’. Rahul’s body has to bear the burden of the anxieties of not just his own parents but an entire social circle. He has to pick up crude language and have lice in his hair to validate the anxieties of an influential class. The novella also ends with Rahul caught in the middle of a communal flare up when he is returning from the ‘common government school’. The novella shows that at the end of the day, the person who has to undergo the violence of unlearning privilege in a privileged structure, is always the most underprivileged within that structure. In the structure of the families of an elite social class in Delhi, this is Rahul. In another structure, Rahul is the privileged being. His story is, at least, narrated because he is born into a privileged class and caste. In spite of his parent’s constant anxiety about making their son a part of the ‘commons,’ he stands out because he is born into a higher social class. His classmates in the ‘common government school’ are not even worthy of narration. This is how graded inequalities are marked in the novella. The plot of the novella moves through a crisis, and much of the interest in the story is kept alive through a dramatic turn of events. 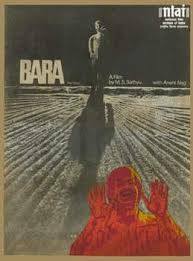 It is not a surprise that the novella has been adapted into two films – both by M S Sathyu, as Bara (1980) in Kannada and as Sookha (1983) in Hindi. The swift movement in the world outside is supplanted and slowed down by an equally significant movement inward to reveal the psyche of the protagonist Satisha, and his slowly deteriorating relationship with his wife. Here, Ananthamurthy uses interior monologue, which Gowda italicises in the English translation. This section describes a moment Satisha shares with his wife when he is planning to quit the administrative services. Wondering if this was a skill learnt at Miranda House to soothe a weary husband, Satisha looked into her dramatically half-closed eyes. They were brimming with tears. ‘I’ll be back.’ Satisha went to the balcony. A mournfully silent plain lay in the moonlight: a parched earth, dry trees, a barren rocky land turning into dust, children and women sleeping on hungry stomachs inside their huts, dejected farmers pawning their ploughs. Satisha felt disgusted when he saw how trivial his disappointment was in comparison. I must tear up the application. It is only decent that I do my duty within constraints like everyone else. I’m being fussy only because my pride and self-respect are hurt. He wished something would rise up from the plain and slap him hard. Satisha’s active gaze takes us to the world outside. The ‘parched earth, dry trees’ and the other things he notices in the moonlight create a mood. What Satisha sees reflects his inner turmoil better than the interior monologues or the scenes of his domestic life. There is a scene in Bara where the protagonist Satisha goes to his room, and he is feeling an inner desolation. He is dwelling on one object after another. Something of that slow, deliberate movement had to be conveyed; a sense of that desolation had to be conveyed in English. So I couldn’t speed up the language. He is looking at the plains outside in the dark and he is wondering why people are looking like that. Why would they ever choose to settle down at a place which is drought-prone. There’s no water, not much food; but people have been there for centuries. He can’t understand their choice of settlement. And that is not a means of chastising the people, but chastising himself for being unable to imagine forms of living and dwelling. There is a certain dryness of feeling – that had to be conveyed, somehow. I don’t know if I have succeeded or not. Gowda’s task may have well been like Satisha’s. But unlike him, Gowda has brought some rain to the drought stricken land. Souradeep Roy is a poet and translator. He is a part of the editorial team of Guftugu.